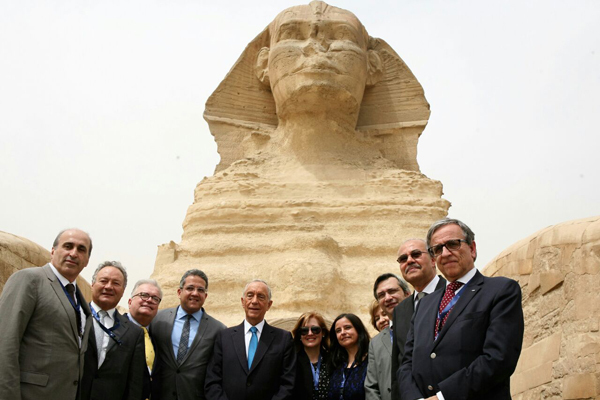 Accompanied by Minister of Antiquities Khaled El-Enany, Portuguese President Marcelo Rebelo de Sousa and his diplomatic delegation toured the monuments of the Giza plateau and both Egyptian museums on Friday. At the plateau they visited the Great Pyramid, the Sphinx, and the panorama area where El-Enany spoke to President de Sousa and his delegation on the greatness of ancient Egyptian civilization. De Sousa and the delegation expressed their fondness for Egypt's distinguished heritage and insisted on documenting their visit by taking photos in front of the Great Pyramid and the Sphinx. 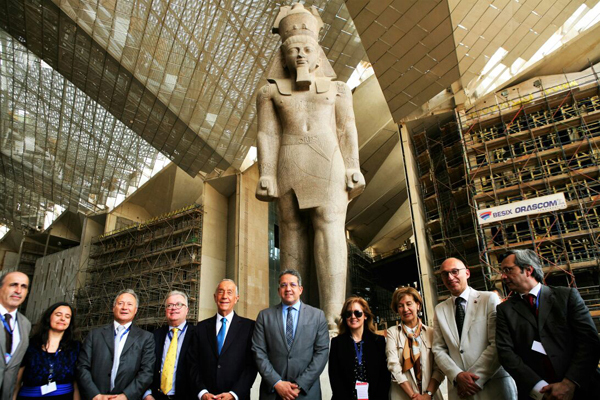 The group also toured the Grand Egyptian Museum's conservation centre and lab for wooden artifacts which currently houses the recently transferred King Tutankhamun collection. They also visited the lab for heavy artefacts, which houses the colossi of Kings Amenhotep III and Menkaure, which will soon be displayed in the museum's grand staircase and atrium, respectively. 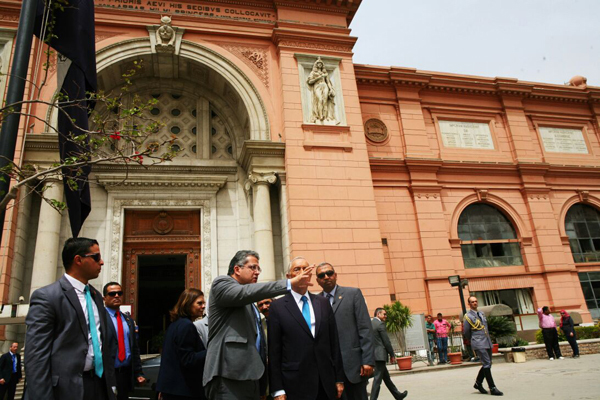 The Portuguese president and antiquities minister also viewed the royal mummies' hall and the Golden King collection at the Egyptian Museum in Tahrir. 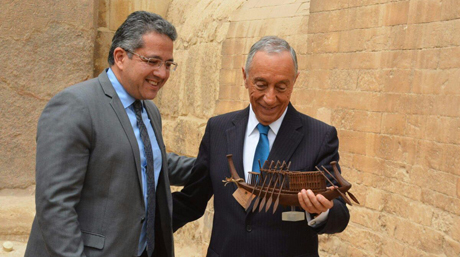 El-Enany gifted de Sousa with a replica of King Khufu’s boat crafted by the replicas unit at the ministry.